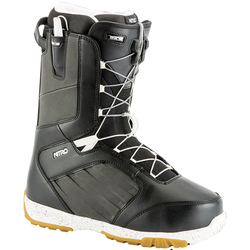 Always pushing the limits of innovation through unparalleled technology, design, and materials, Nitro Snowboarding is the producer of all the goodies you need to annihilate the snow. 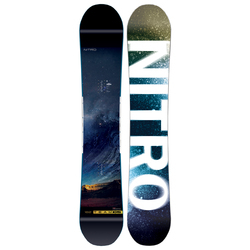 Dedicated to building the best snowboards on the market, Nitro pursues their dreams with a fiery passion unmatched by any. 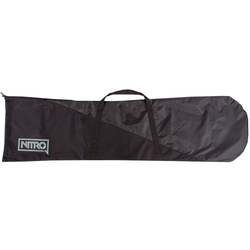 In 1990, when a pair of shredders from Seattle, WA decided to take it upon themselves to make some epic gear to give them a quality option, Nitro was born. Snowboarding was, and still is their passion to this day. Remaining true to the sport through 100% focus and dedication has established the brand as one of the most trusted in the industry. They won’t hesitate to point to their design and development as the keys to their success, and those two aspects will undoubtedly continue to feed the fire that burns within Nitro. Nitro’s newest cambered performance twin is called the T1.5, and it is the new benchmark by which all other freestyle boards will be measured. Now, you can get more control, snap, power, and hangtime. 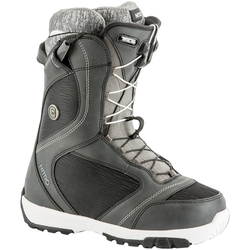 This upgraded version of the T1 features the Whiplash Profile. 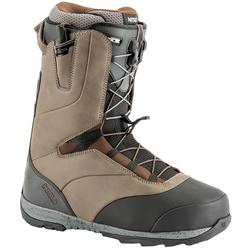 With minimized thickness between the inserts and bonus meat outside your feet, you get maximized ollie power. A Tri-Lite Laminate gives you a stronger, more responsive ride for that added boost in performance you have been searching for. Reinforced with Pop Bands to spice up the liveliness and decked out with a Rail Killer edge, which is twice as thick as your standard edge, the T1.5 is a force to be reckoned with anywhere there is air to be had. For days when the powder is endless, Nitro constructed the Slash to slay it all. Completely revamped to deliver an unbelievable all-mountain experience, this quiver board utilizes Nitro’s Gullwing technology for a fun, playful, and responsive ride. This revolutionary shape relieves pressure at the contact points for a forgiving feel while maintaining all the control and pop you could ever need. The tapered shape of this rocker/camber combo deck has a bit more width at the nose so you can better float the fluffy stuff. 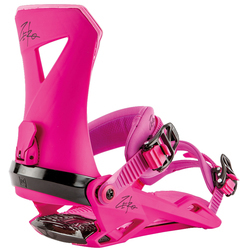 A relaxed core profile sets you up with better torsional flex for easy turns and blasting your buddies with snow. It is Nitro’s belief that everyone should have equal opportunity to get their shred on. That is why they have done the big-footed fellas a huge favor with their Magnum model. While it does feature a wide waist width to minimize heel and toe drag, it is still light and responsive thanks to a tip-to-tail poplar Power Core. 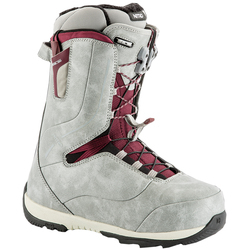 Progressive sidecuts help initiate turns and, a Sintered Speed Formula Base is one of the quickest and most durable bases anywhere on the hill. The snappiness and precision of this standard camber stick makes the Magnum a high-powered ride for those with longer toes. Snowboarding is all Nitro does. No distractions. Zero compromises. With a dedication like that, it is difficult to imagine anything other than amazing results.